Liam Gallagher, once known for his frequent drug intake, has revealed his band's new album was written with a "clear head". 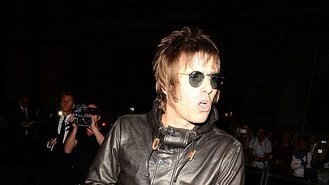 The singer, formerly frontman with Oasis until brother Noel walked out, suggested he had moved on from his excesses and said his group Beady Eye had a "new-found focus". He and the group have even used iPhone apps to work on some of the tracks for their second album BE, which is out on June 10. Gallagher, 40, said: "We had a new-found focus when we were writing it - we really got our heads down and got our s**t together - clear heads, none of that c**p from the 90s." "It feels like a really special record for us," added the frontman, who has also taken up running in recent years. Oasis admitted over-indulging on their eagerly-awaited but widely panned 1997 album Be Here Now. Gallagher and bandmates Gem Archer, Chris Sharrock and Andy Bell have worked with producer Dave Sitek - who has previously worked with TV On The Radio - for their new album. "He's without a doubt the best producer I've ever worked with, a real outlaw - no rules," said Gallagher. Beady Eye are due to play festival slots at V and T In The Park later this year. Bass player Jay Mehler has joined the band since the album was recorded. Almost 40,000 free tickets for BBC Radio 1's Big Weekend in Londonderry will be made available next Tuesday, it has been revealed. The Rolling Stones concert in Hyde Park sold out in just five minutes despite fan concerns over ticket prices. Beyonce has dug out some of her favourite costumes from throughout her career to celebrate her multiple personalities. Mick Jagger has confessed he doesn't quite have the moves any longer. Amy Winehouse's father Mitch Winehouse has revealed he had no idea about Beyonce's plans to cover Back To Black for the Great Gatsby soundtrack. Bon Jovi's Richie Sambora will not be performing during the current leg of the band's tour, it has been announced. Beyonce has revealed baby Blue Ivy loves bass and upbeat music after she spent her pregnancy on tour.